Are you one of the fans of The Matrix movie? If you are then you will probably be surprised to learn that Daniel Bernhardt (Siro in Mortal Kombat Conquest) has a role in the sequel of this trilogy. According to the latest news posted on MK5.Org there is a change in the title of the GBA exclusive Mortal Kombat game. The game was called Mortal Kombat: Deadly Revenge but now its new title is Mortal Kombat: Tournament Edition. With this Midway wants to give prominence to the network part of the game. In an Interview for PSM Ed Boon confirmed that the next Mortal Kombat is in development. The game will ship somewhere in 2004. There will be a lot of changes but one is sure, you will be able to play the game online too. The creator of Mortal Kombat 4 Enhanced updated his personal website. He removed all the information about the most popular Mortal Kombat 4 modification. A lot of fans thought, that he will finish his work on Mortal Kombat 4 Enhanced and will update the backgrounds and the masc. objects in the game too, but unfortunately he won't do this. 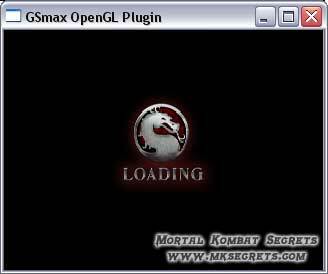 Now after the update on the Mortal Kombat 4 Enhanced official website, Mortal Kombat Secrets is probably the last Mortal Kombat site that has information about Mortal Kombat 4 Enhanced and the patch itself. 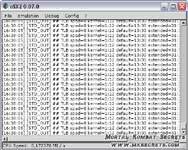 Two weeks ago (on 23.03.2003) I inform you about the first Play Station 2 emulator that can "run" Mortal Kombat: Deadly Alliance. Unfortunately it only can run it. I was not so sure if that was true or not but now I am. I saw how this program runs Mortal Kombat: Deadly Alliance. On the emulator's official site there is now guide that can help you run the game iso. But the only one thing you can see is the loading screen. You cannot play or make something else. I can only say that's the beginning.